Get ready for the East Coast! From surfing to leisurely evening strolls and exciting whale watching, there are plenty of things to do. Visit religious sites and enjoy safari rides. The island’s surfing capital is in a swirl of thrills. Grab your surf board and head to Arugambay. Get ready for the ride of your life on the waves on the East coast of the island. Whether you are pro looking to ‘hang ten’ or a beginner, there is a surfing point for you. Arugambay Point, Pottuvil Point, Okanda Point, Secret Point and Lighthouse Point are great for the pros. Whisky Point, Peanut Farm and Crocodile Rock/Elephant Point are ideal for beginners. 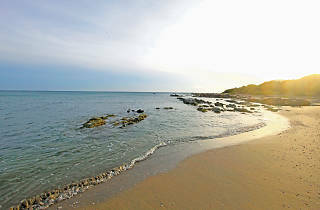 Pristine, tranquil beaches of Trincomalee are ideal for a sun-kissed and relaxed getaway. 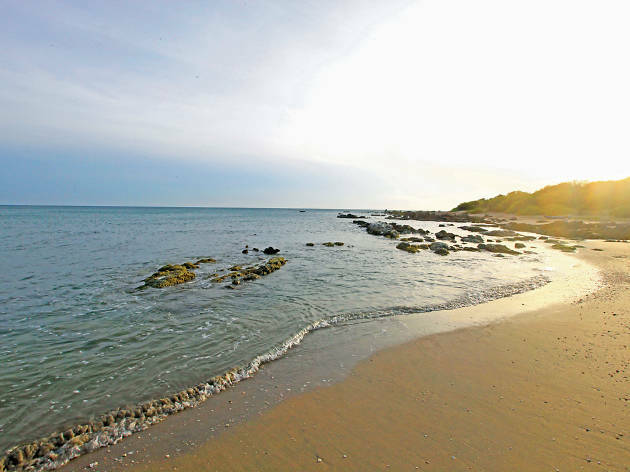 Salty breeze will sweep through your hair as you take a leisurely walk along the shores of Passekudah, picking up seashells along the way. 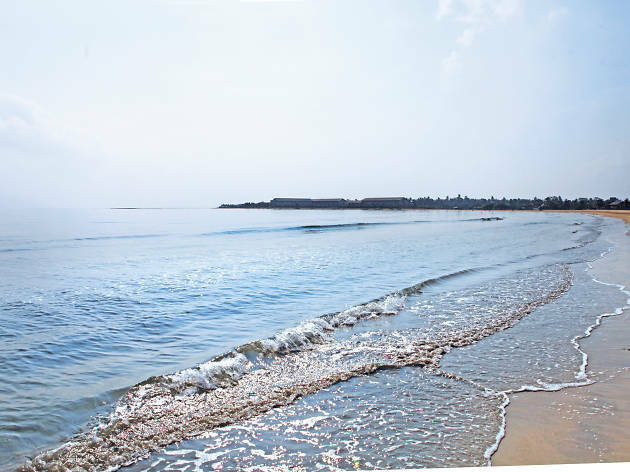 Passekudah beach is a great spot to take a dip as the waters are shallow and calm. 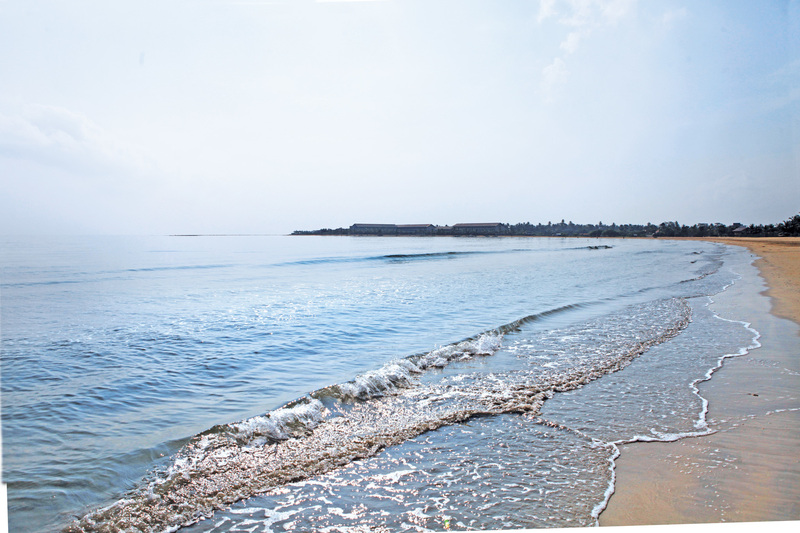 Swaying palm trees and sugary sands make Kalkudah a spectacular beach strip on the East coast. The palm-fringed tropical setting of Kuchchaveli beach makes it another beachside destination great to unwind in. 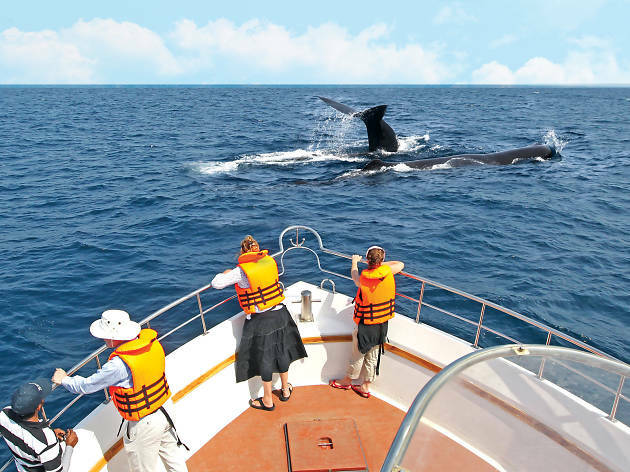 Go whale watching in the deep blue waters of Trincomalee and be amazed by the marine giants of the world. Watch as blue, sperm, Bryde’s and Eden’s whales and even orcas breach and flip their tails. Pods of spinner dolphins are seen in acrobatic twists above the waters. The East coast of Sri Lanka is one of the finest places on earth for whale and dolphin watching. Vihara in Pottuvil or Neelagiri Stupa. 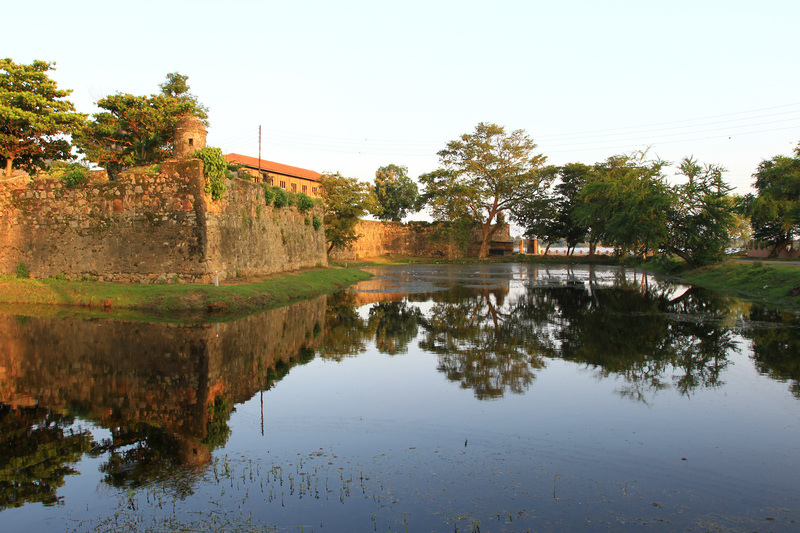 Experience the religious fervour at the Kudumbigala Monastery and Okanda Kovil in Panama. Get in touch with your adventurous wild side on a safari in the national parks of the East. Herds of majestic elephants in their natural habitat will keep you entertained for hours. 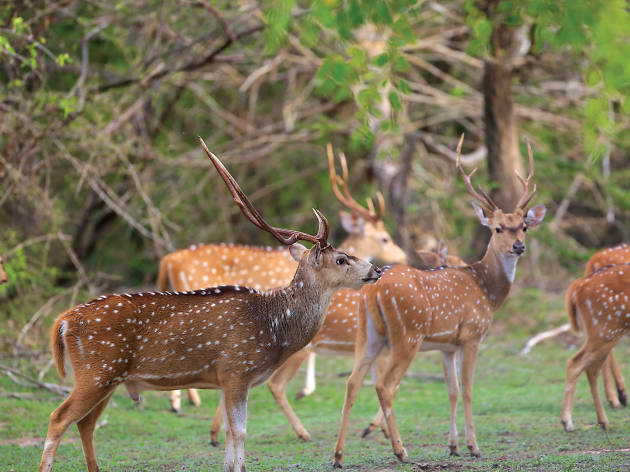 Catch a glimpse of an elusive sloth bear or a princely leopard. Watch exotic and endemic birds, witness reptiles and travel through beautiful forest landscapes. 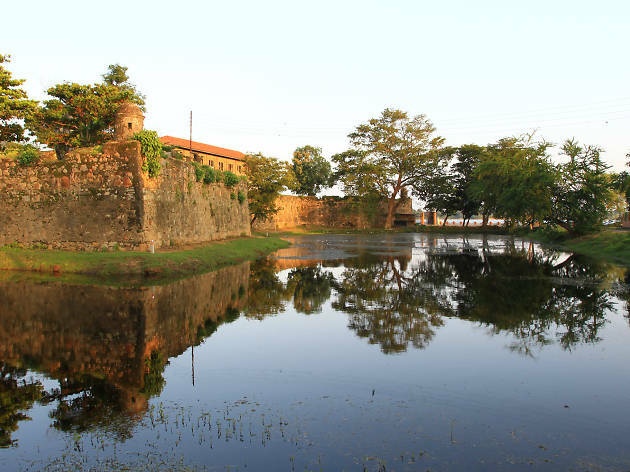 Kumana National Park and Lahugala National Park are some of the best places to discover the East’s wildest. On the borders of the province are Gal Oya National Park, Maduru Oya National Park and Somawathiya National Park. Take a boat ride and discover the natural wonders under the sea at the Pigeon Island Marine Park.